I love all things weddings and after doing a series of outfit ideas for bride for different pre wedding ceremonies I realized there is a lot of information about bridal fashion over the internet but when it comes to grooms there is hardly any content for men to take inspiration from. So I decided to explore the world of men's wedding fashion a bit more and bring about a series on men's wedding attire. You may have already seen some male related wedding content being churned out on this blog in the recent past. 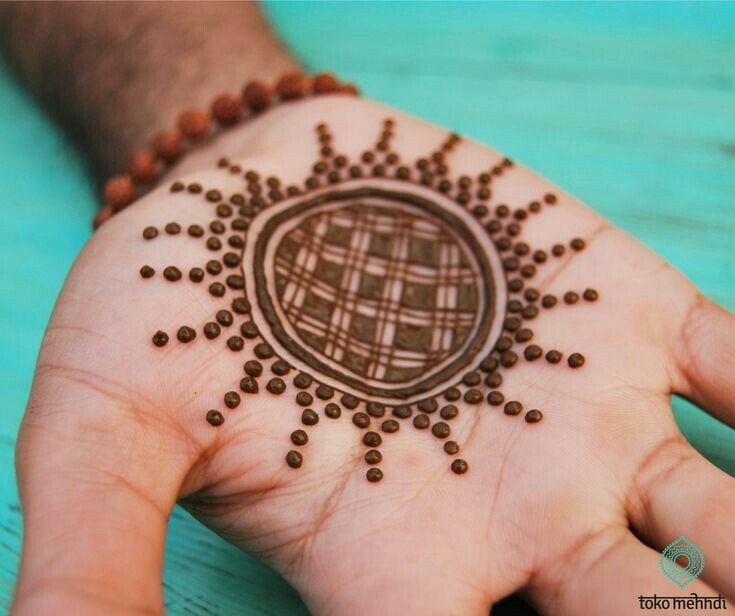 Today I decided to write a post on mens mehndi designs. 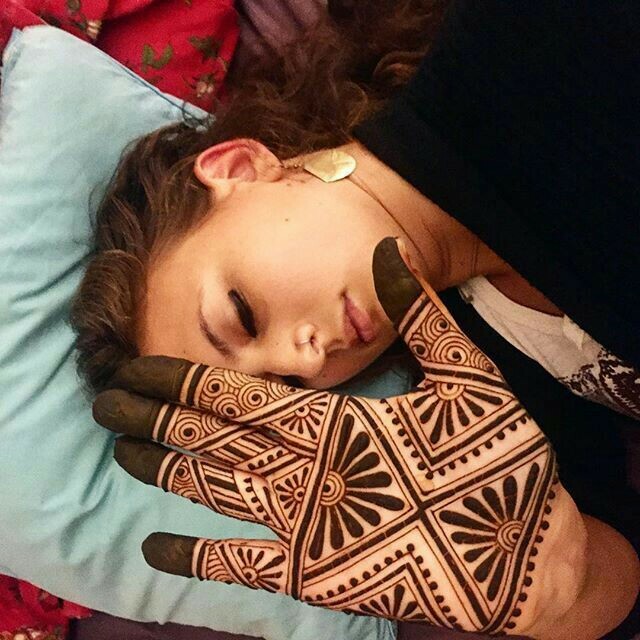 Traditional henna was supposed to be used by both men and women but over time mehndi became more of a girl thing. Even today in many parts of India it is hindu custom for grooms to participate actively in the mehndi ceremony by getting mehndi designs applied on their palms. While brides prefer their mehndi to be elaborate covering entire length of both front and back of hands, groom mehndi designs are more simple and geometric in nature mostly covering just their palms. 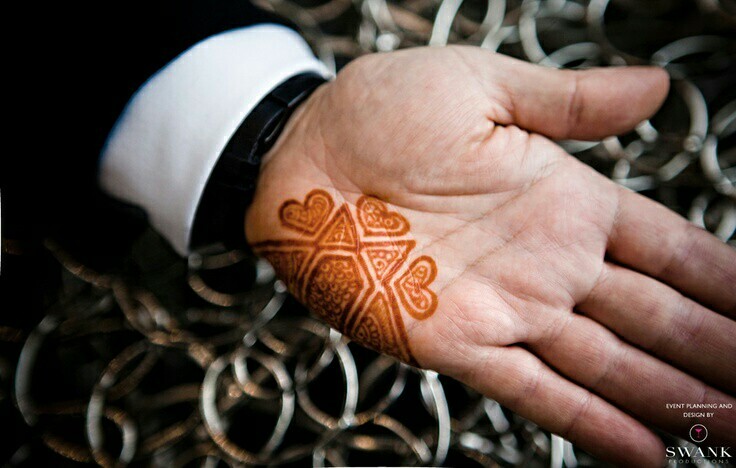 Simple mehndi designs dont mean a circle in the centre of palms with bride and groom initials. 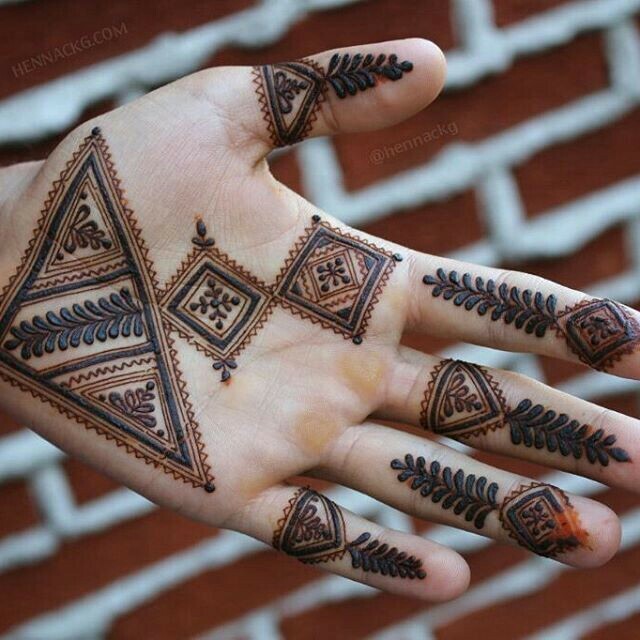 If the groom is getting mehndi applied then rock it in style with latest henna patterns. Here in this post I bring to you my fresh selection of latest mehndi designs for grooms this year. 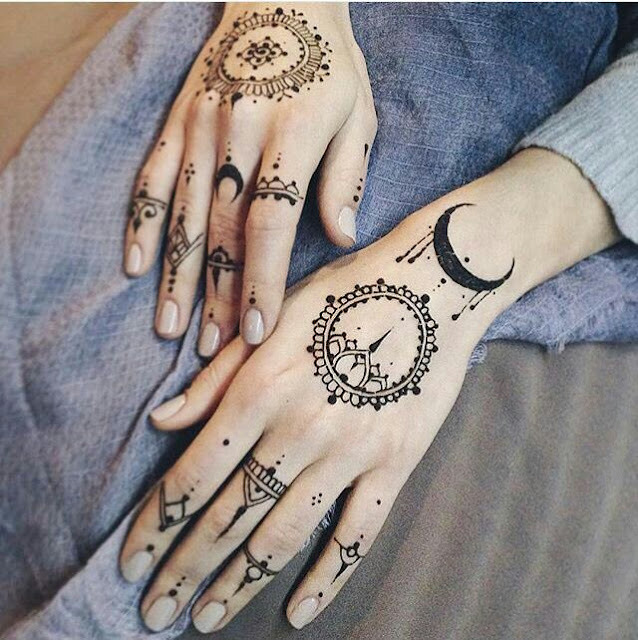 These mehndi designs can ofcourse be applied even by women for a bold edgy look. Mehndi designs for groom wasnt very popular trend until Ranbir kapoor flaunted his henna drawn hands in the super hit movie Ae dil hai Mushkil. 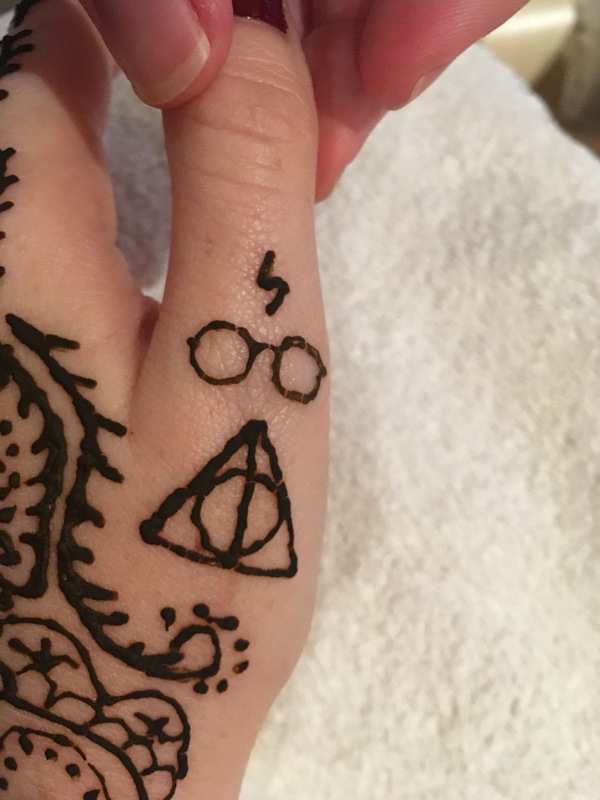 While Ranbir's mehndi was elaborate very similar to bridal mehndi design making it not so appropriate for grooms of today, here are some minimal and fuss free dulha mehndi designs for you to complement your bride. Get inspired and flaunt your mehndi in style, it is your wedding after all you need to celebrate it to the fullest. 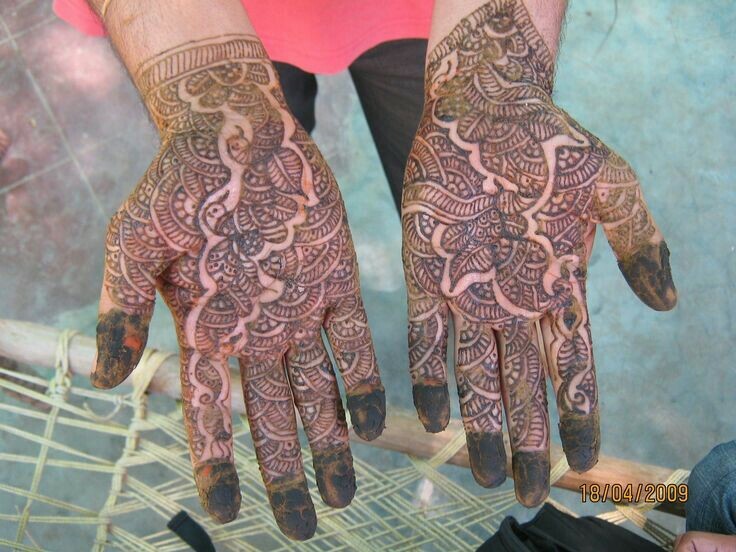 Grooms can flaunt stylish mehndi designs which arent very traditional for an elegant look. Geometric and circular patterns blend well with men's personality so we can find a lot of Moroccan inspiration in groom henna. 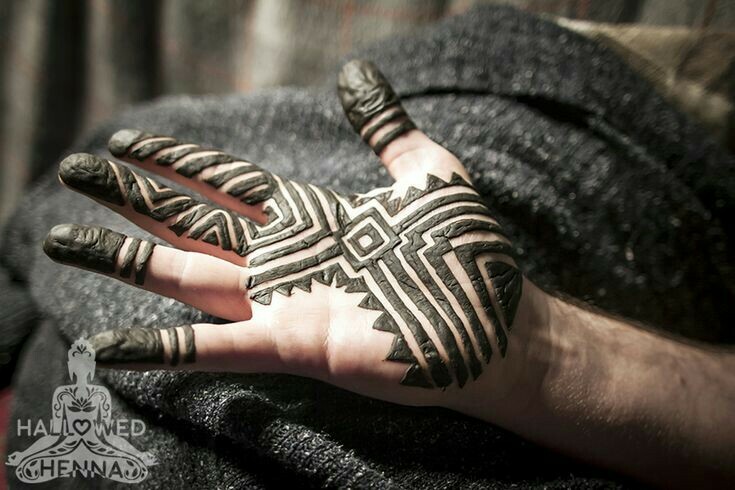 This geometric palm henna mehndi design for grooms is a nice blend of modernity and tradition. Leafy patterns add a nice touch of elegant and the triangle and square pattern on palm make it edgy yet classy. 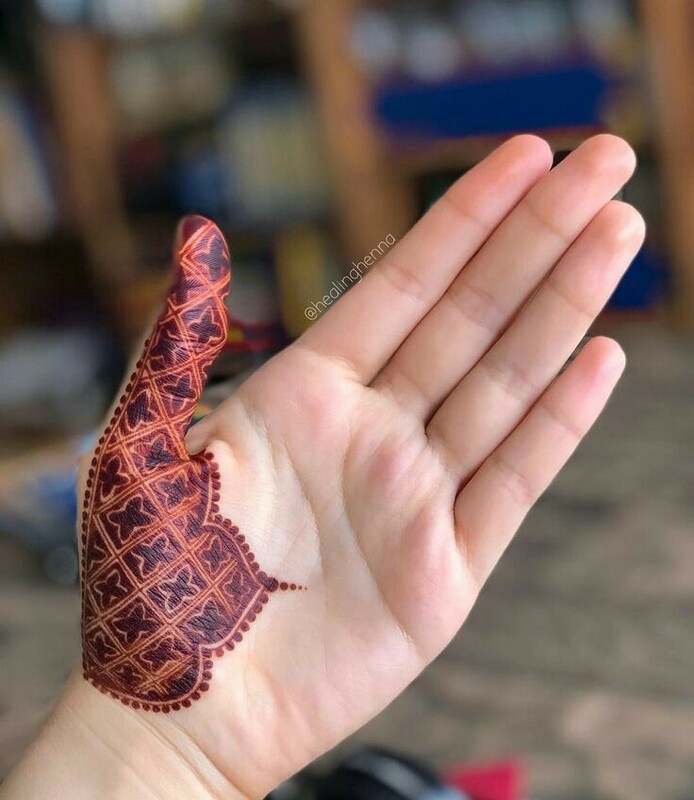 Mehndi designs for groom are seeing lots of new trends and the one very rampant trend is flaunting mehndi on just half of the hand leaving rest of it empty. 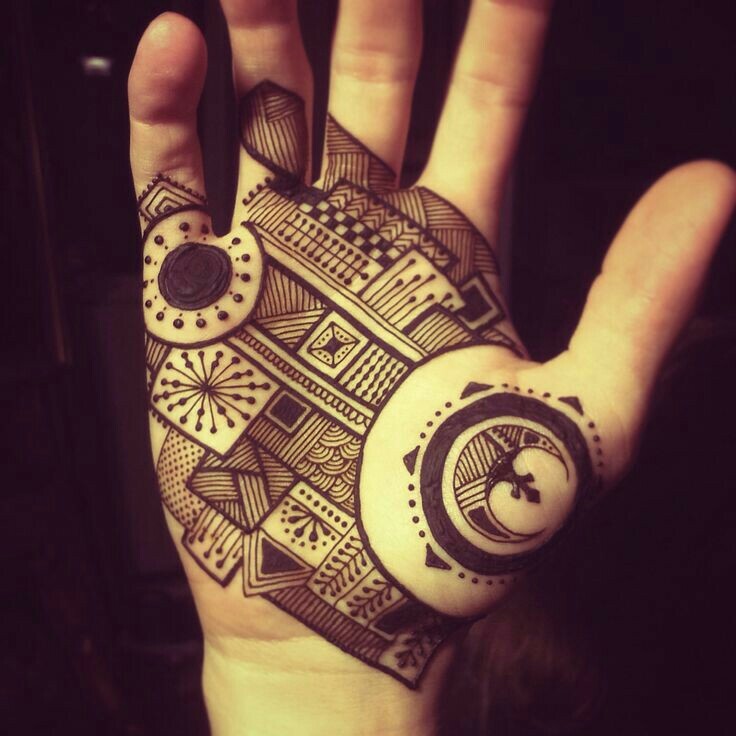 This geometric patterned thick lines henna is simple yet unique. The addition of three simple hearts make give it a romantic touch perfect for an occasion like wedding . Mehndi designs for groom is more simple when compared to women but men can get henna applied to both sides of their hands . 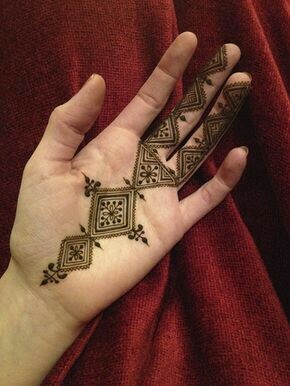 It is your wedding afterall so dont restrict henna patterns just on your palms. 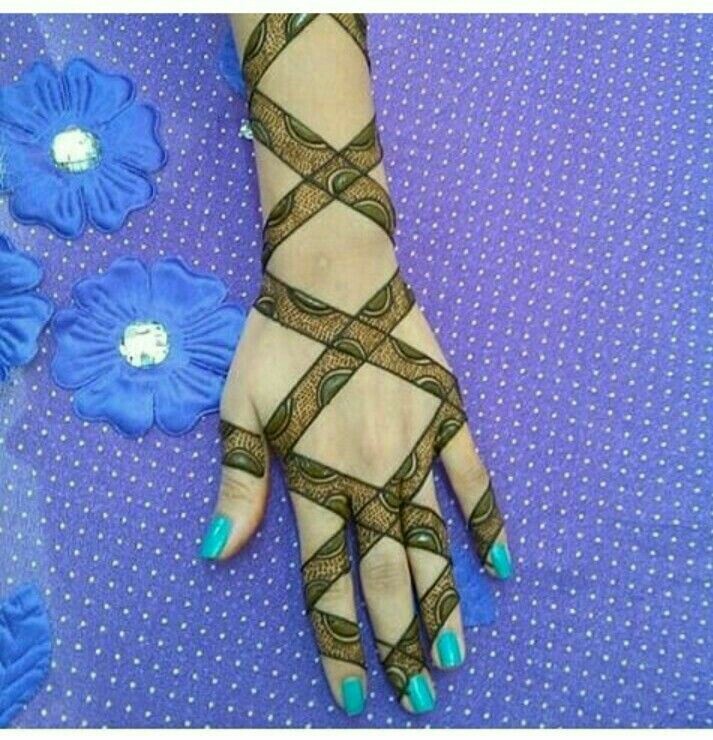 A sober mehndi design for dulha which is also very hatke? Have a look at this gorgeous tribal folk art inspired groom mehndi design 2018 which covers only two fingers and middle part of palm leaving lots of breathing space. 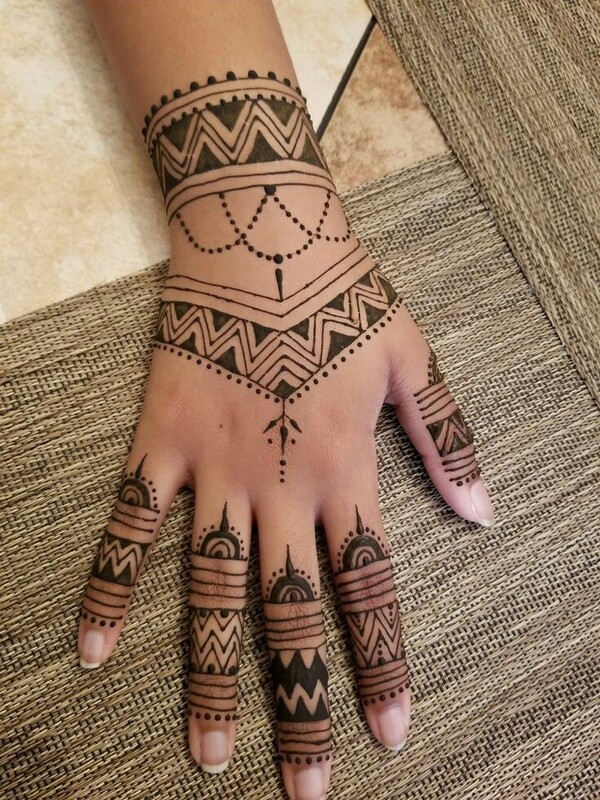 Women get their mehndi applied from a professional mehndi artist but since male mehndi designs dont have complex patterns it can be applied by any beginner in the family. 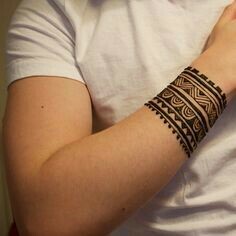 If you as a groom are reluctant for mehndi application on hands then try the fore arm which more like a temporary tattoo art for sophisticate look. 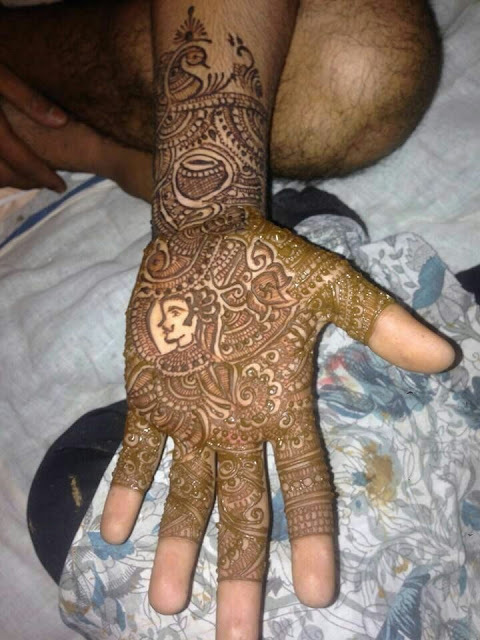 Trying simple mehndi designs for groom make a whole lot of sense if you are the not very experimental kind of man. Take inspiration from this floral mehndi mandala which rests on middle of the palm or back of hand for a classy appeal on your special wedding day. 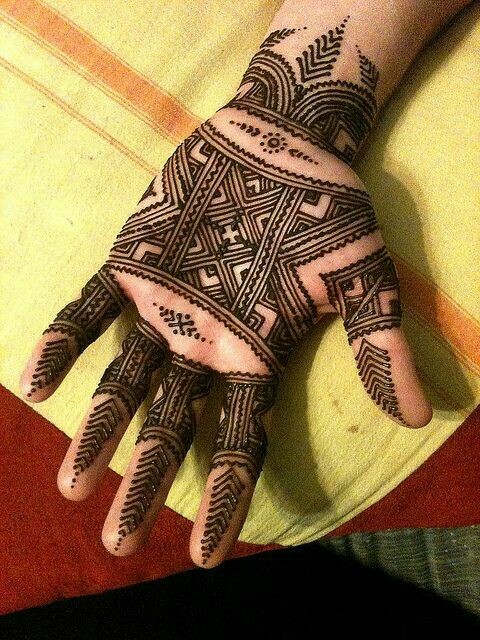 Mehndi is a way of reflecting your happiness and it is better when done elaborate on full hands. This print style hand mehndi designs for groom is perfect choice if you want something elaborate yet dont want to veer into the feminine territory. Mehndi has a huge traditional significance in Indian weddings. 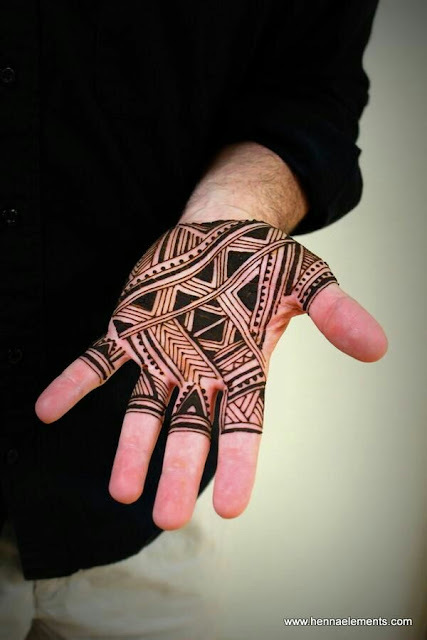 Grooms in asian countries are beginning to embrace mehndi designs in quirky styles for the occasion but male henna isnt still a widely accepted art. If you are a groom or brother of groom who is looking for a subtle and minimal design embrace the simple elegance of a circle tikki design with striped overlay. 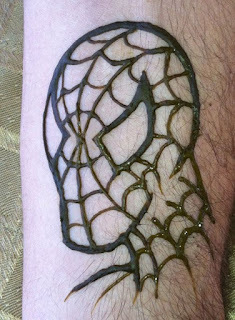 Grooms can try this tikki design for both front and back of hands and add a series of dots to decorate fingers as well. 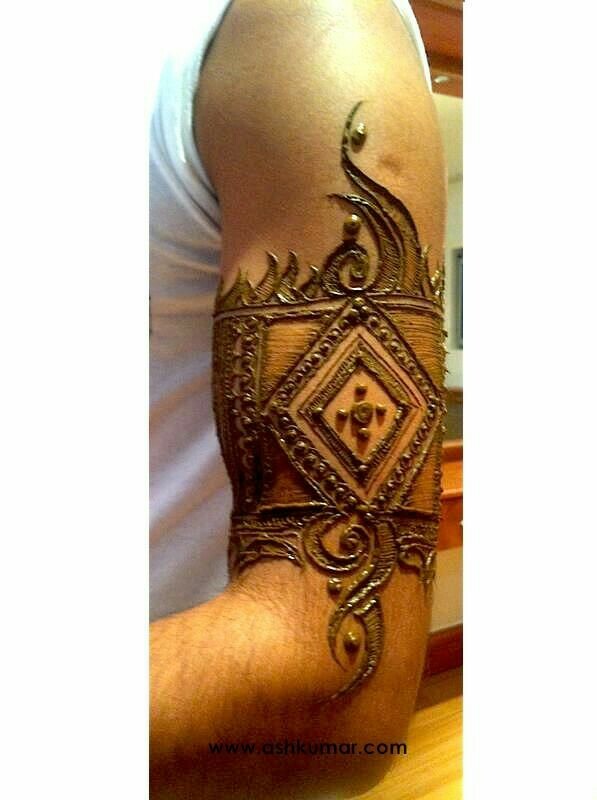 Grooms who love simple mehndi patterns can skip the hands and choose a tattoo style henna design for arms. 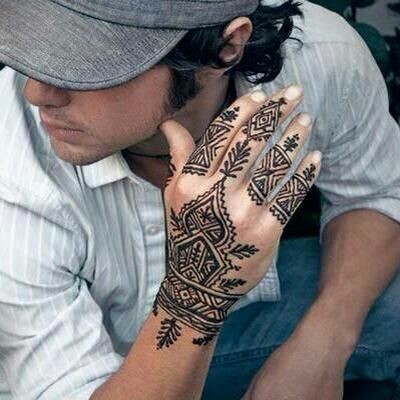 This kind of mehndi looks very manly and macho. Even groom's brothers can try this style of henna designs. There are many new mehndi designs for male but if you want to go the traditional route with elaborate groom henna patterns then try this mehndi design with groom portrait in the middle. 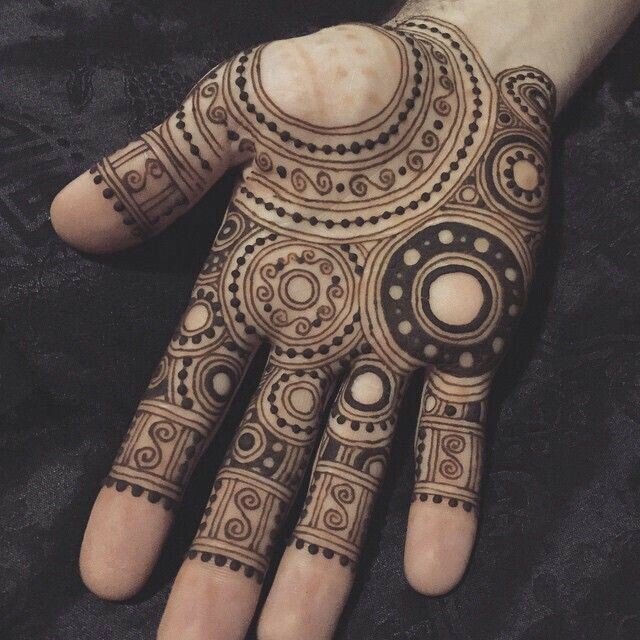 The asymmetric mehndi trend is raging hot in mens mehndi. This mehndi design for groom is best choice for 2018 grooms who want to keep it classy yet trendy with a touch of elegance. The circle mandala designs are the most popular mehndi patterns as they are very easy to apply. 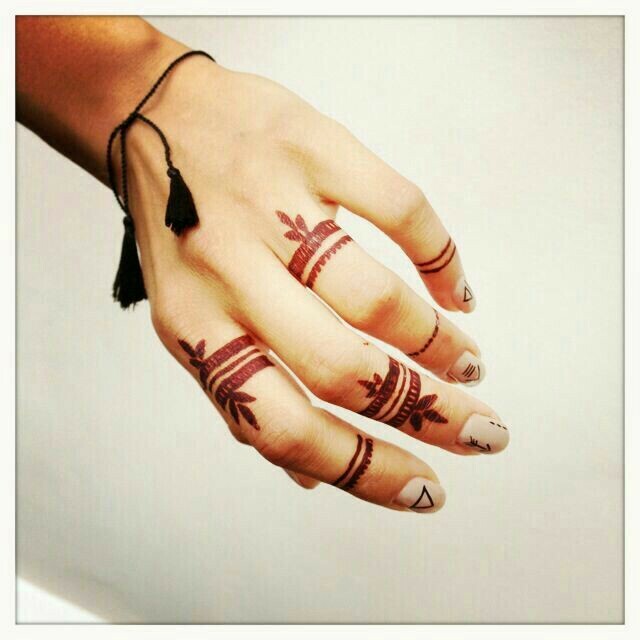 Even men can try variation of this design as its makes for a gorgeous yet minimal male mehndi design. 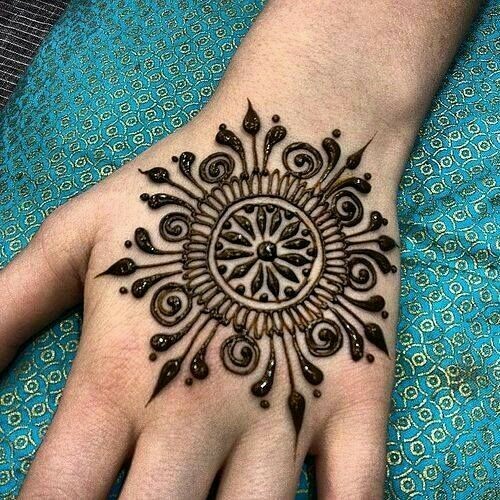 You dont have to hire a mehndi artist for a design like this, just swap the normal round tikka for checkered one and finish off with lots of dots around it. Gents mehndi designs for 2018 are actually getting very complex and elaborate all thanks to Ranbir Kapoor and his mehandi laden hands in the song 'channa mereya'. 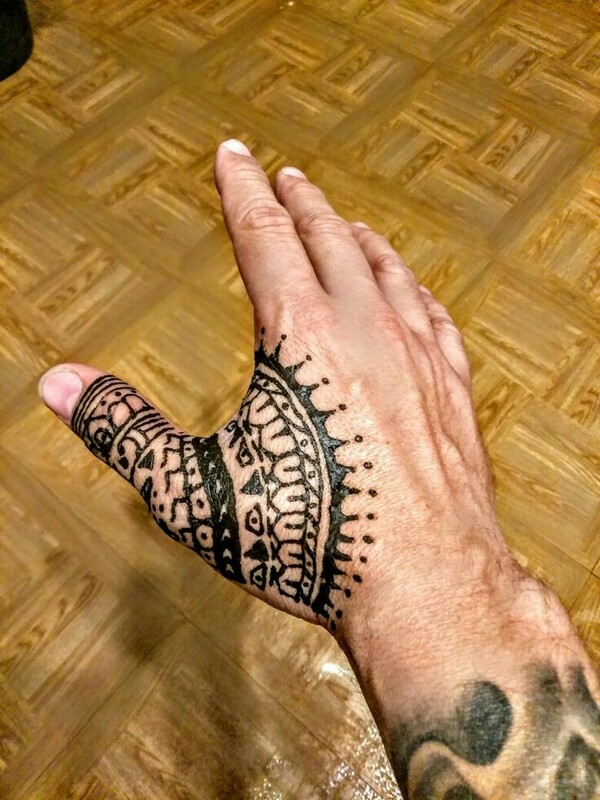 Arabic mehndi designs like I mentioned in my earlier post are a huge hit all over the world and even men can give these elaborate patterns a try. 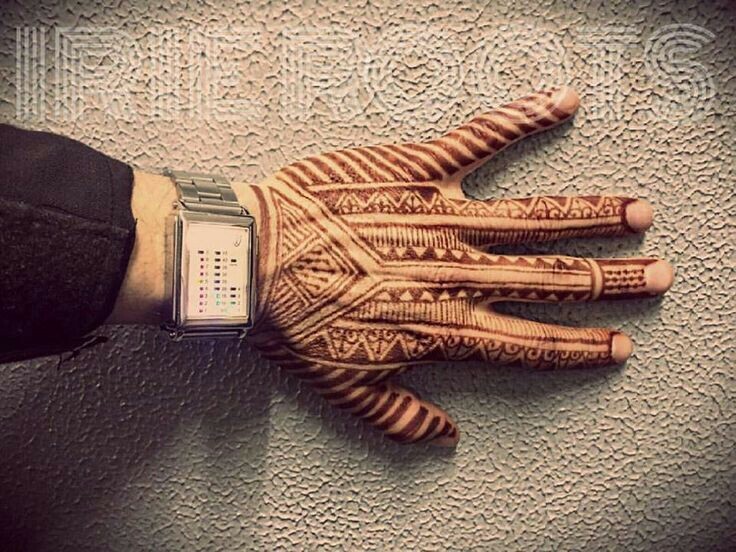 This latest groom mehndi design is sure to make you a trendsetter groom of sorts all thanks to its unique pattern. 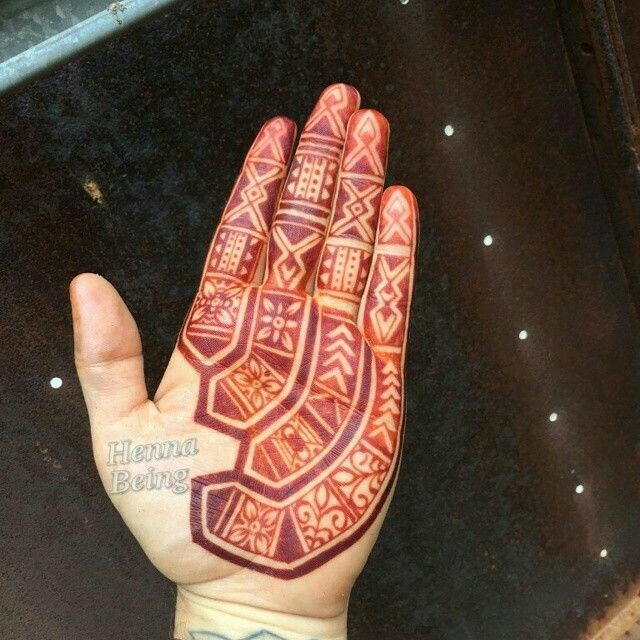 This sun and moon inspired mehndi art covers most of your palm yet is very groom appropriate because of this geometric pattern. Mehndi designs are what girls are more excited about and if you are one of those grooms who isnt very interested in getting henna applied then try this latest bracelet mehndi design on your big day which is minimal and will sure appeal to everyone. 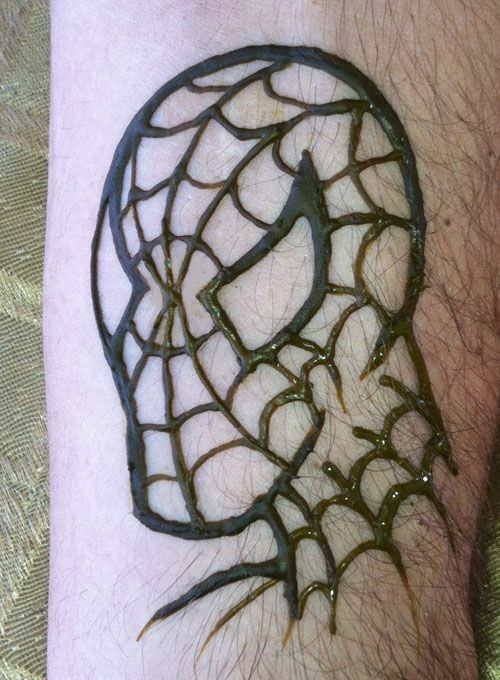 This mehndi design gives an illusion of a tatto so it is perfect for grooms who want to keep their mehndi subtle. 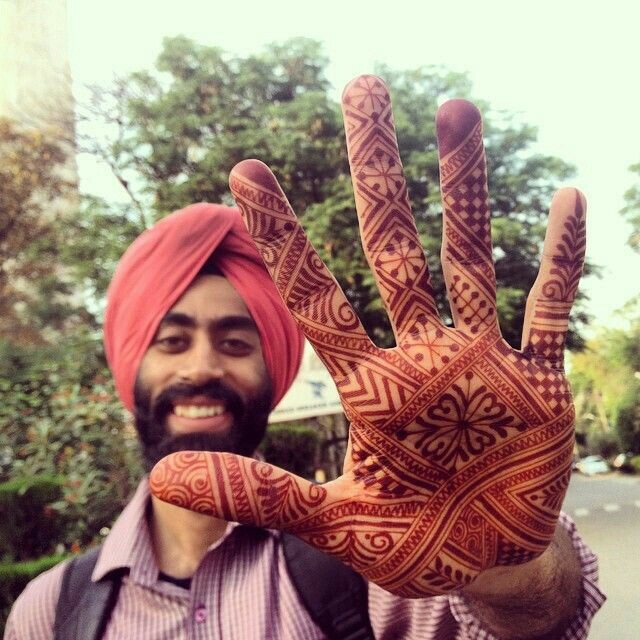 The groom mehndi isnt a new trend. it is actually an age old tradition which has seen a revival of sorts. 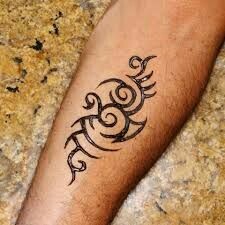 So, as a groom if you are still confused about weather or not to get henna applied then your answer should be a sure yes. 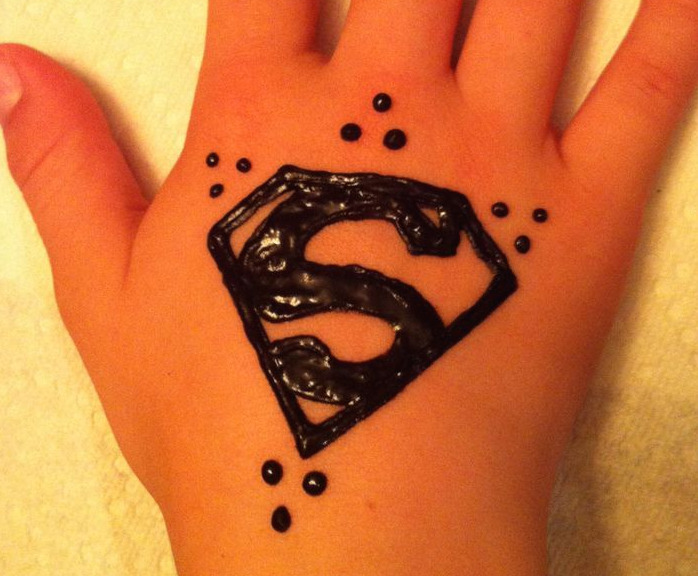 Male mehndi designs arent very complex or elaborate but it all comes to personal preference really. 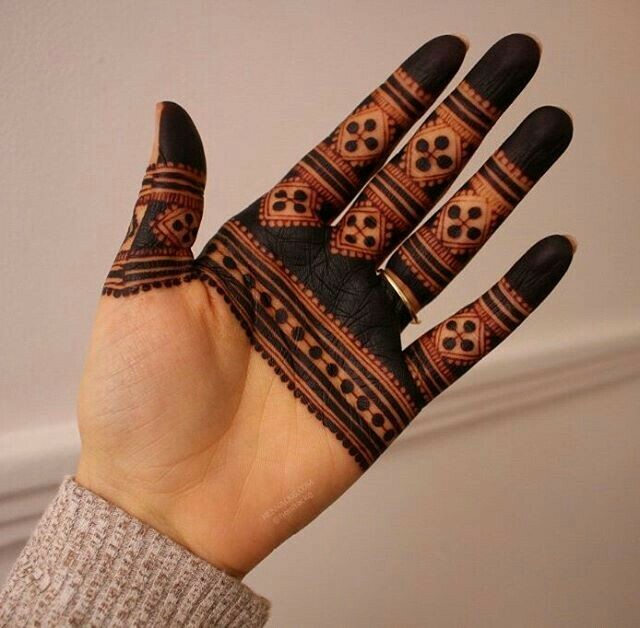 You can go minimal with beginner mehndi designs or go all out and flaunt groom mehndi designs for full hands with intricate patterns. Simple circular tikki patterns work best for traditonal grooms. You can make your simple designs interesting with addition of elements like wedding hashtags, bride and groom names or quotes in mehndi design. 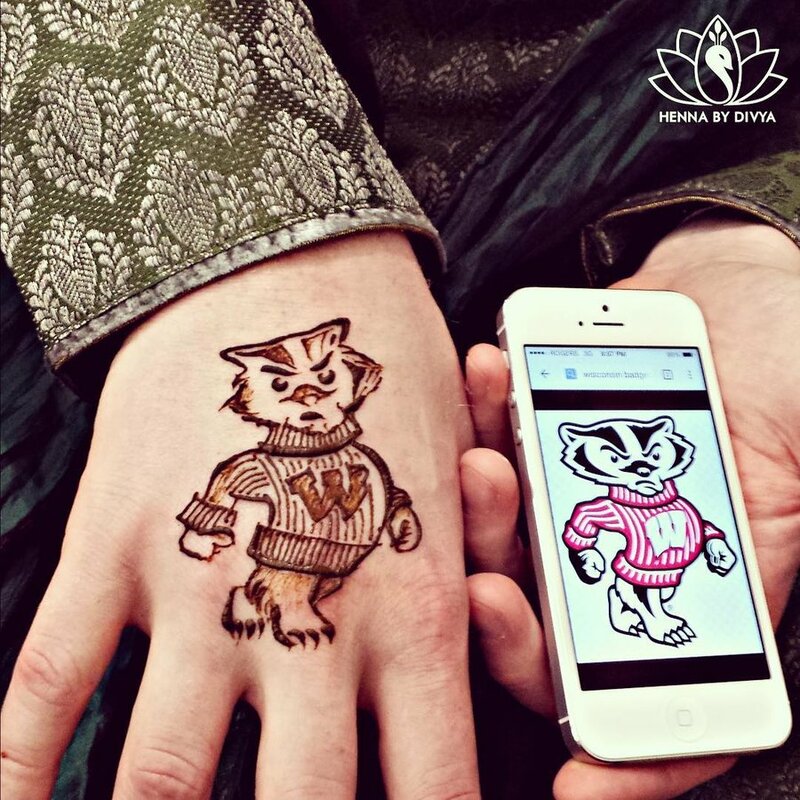 If you are a groom who wants to experiment and have fun with unique mehndi designs then choose from latest mehndi designs for grooms. 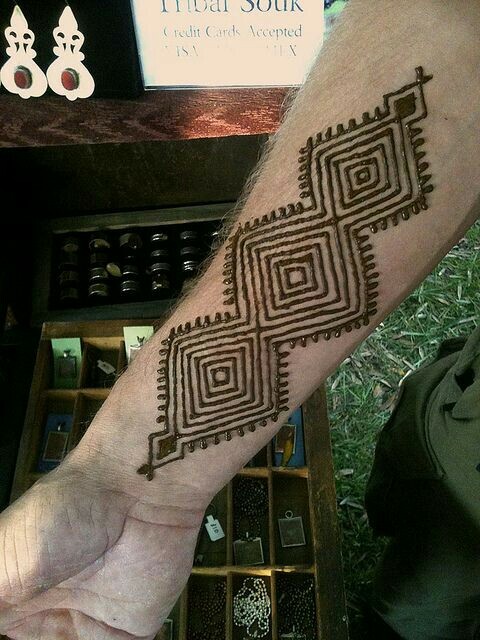 Most trending patterns for male mehndi designs are geometric patterns, half hand mehndi and portrait henna. Getting favourite cartoon chraters or super hero logos drawn is also becoming a thing for grooms. 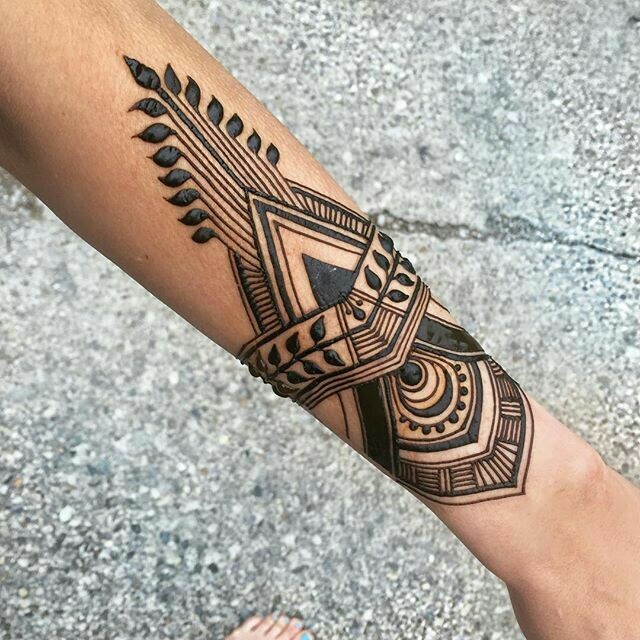 Tattoo and tribal inspired mehndi designs and Moroccan mehndi designs are also very interesting patterns which an help you stand out on your wedding day. If you are the rock-star kind of a groom who isnt hesitant to flaunt full hand mehndi designs similar to Ranbir Kapoor in Channa mereya then choose from classic arabic mehndi designs for groom which look elegant and charming. 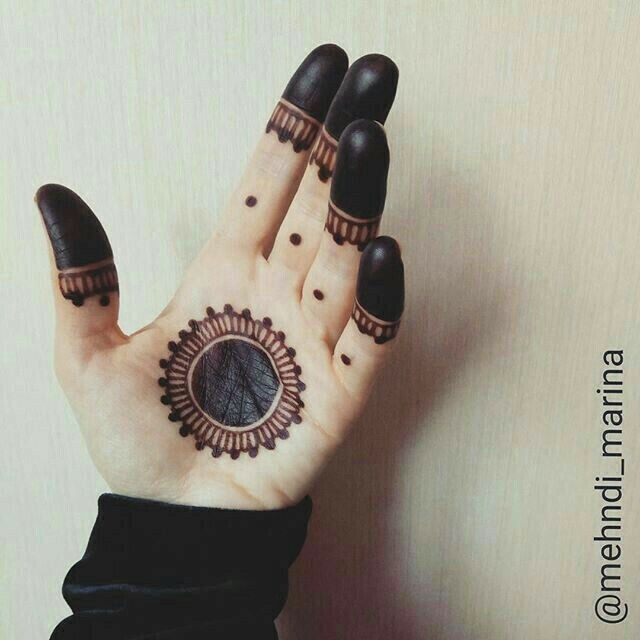 Finger mehndi designs are a rage these days. 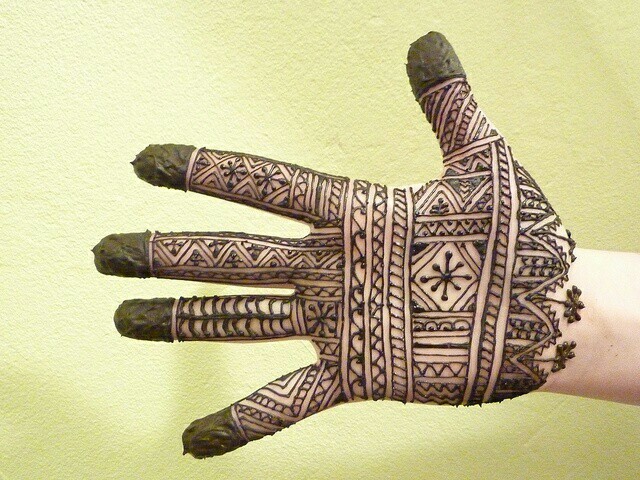 If elaborate mehndi designs for groom isnt your cup of tea then try a fingers only mehndi pattern. See design number 19 for reference. 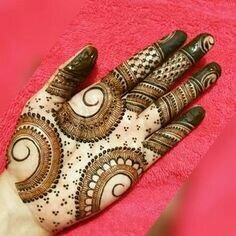 While bridal mehndi designs are elaborate work of art whih is applied on front and back of hands and feet groom mehndi designs arent restricted to palms. Men can choose to leave their palms totally bare and opt for mehndi designs for wrist, arms, fingers or fore arm. 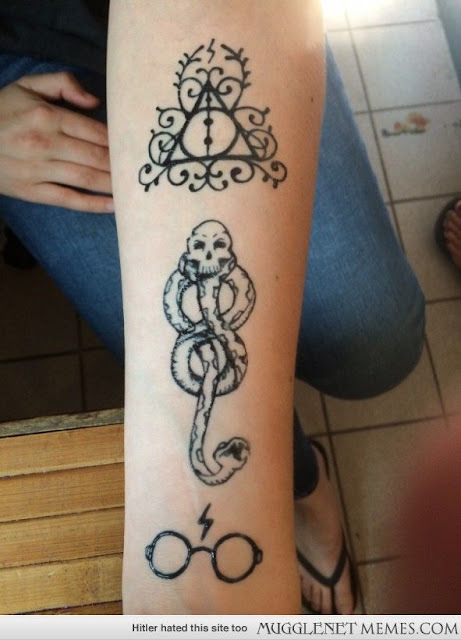 See design number 5,10, 19, 20, 25 for refrence. 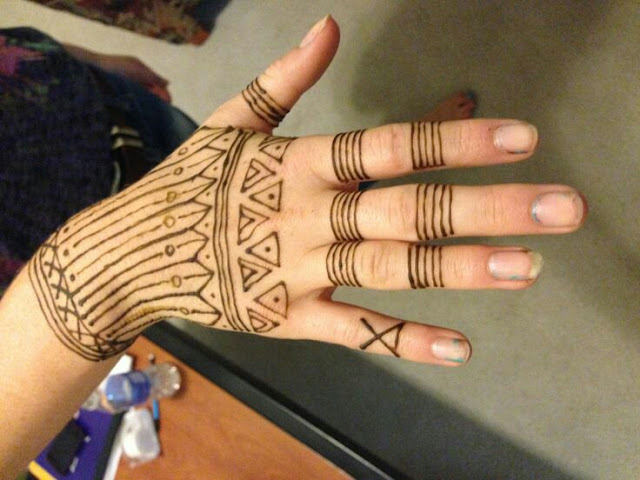 Consider your attire also when choosing a mehndi design. It is best to go for a fusion mehndi designs for groom which blends well with both ethnic sherwanis on your wedding and groom reception dress.